Aromatherapy uses the scent of concentrated plant oils, known as essential oils, to improve feelings of well-being. It is a popular complementary therapy used to relieve stress and produce other pleasant sensations. Aromatherapy is also practiced in some hospitals to relieve symptoms that are caused by disease or its treatment. Examples of these types of symptoms include nausea, fatigue, anxiety, and sleep problems. Practitioners are often nurses or massage therapists who have had additional training to work with cancer patients and others who require special care. The most common forms of aromatherapy are the use of diffusers or devices to inhale the scent of essential oils. Several hospitals have established programs and note improvements in patient-reported pain, anxiety, nausea, and other symptoms. For example, sweet marjoram may improve pain, while lavender may help reduce anxiety. Among cancer patients, lavender is commonly used to treat anxiety or sleep problems, while ginger is used to treat nausea. However, a few studies did not find ginger aromatherapy helpful for nasuea or vomiting caused by chemotherapy, although it appears to improve appetite. A study in thyroid cancer patients found a certain aromatherapy combination may increase saliva flow, but this needs to be confirmed in larger studies. Some studies show benefit with aromatherapy as part of therapeutic massage. In one large trial, cancer patients who received aromatherapy massage had benefits in anxiety or depression for up to 2 weeks afterwards. Aromatherapy massage was preferred over cognitive behavior therapy, and had the same benefits on distress in cancer patients. Other studies suggest aroma massage may help hospice patients, particularly with sleep problems. However, large scientific reviews found most studies of aromatherapy massage too small or of poor quality to be reliable. Also, it is not clear whether benefits reported are actually from the use of aroma, massage, or both. Overall, current research suggests that aromatherapy is popular among patients to address symptoms such as poor sleep, pain, nausea, and anxiety. It is also thought to be a safe and low-cost non-drug approach. By way of the sense of smell, aromatherapy may communicate to parts of the brain that produce certain chemicals like serotonin and dopamine, which may have calming effects or reduce pain. Aromatherapy can also trigger pleasant memories, or patients may have positive expectations that increase benefits. In addition, some essential oils have certain properties that suggest specific uses. For instance, lavender has shown effects on both anxiety and sleep, but effects on sleep are noticed more at higher dose levels. Ginger is commonly used for nausea, but a few studies in cancer patients did not find ginger aromatherapy helpful for chemotherapy-induced nausea and vomiting, although it may help to stimulate saliva flow and appetite. In the case of aromatherapy massage, there is also the added environment that may include music, calm surroundings, and a soothing therapist. All of these components may work together to reduce symptoms. A large hospital study suggests that aromatherapy using lavender or sweet marjoram may help anxiety. Another study in cancer patients found those who were anxious felt more relaxed and less stressed with the use of an aroma inhaler. However, a large trial of aromatherapy during radiation treatments did not show benefits on anxiety. Aromatherapy massage was preferred to cognitive behavior therapy, and had similar benefits on distress in cancer patients. In a large trial, benefits that lasted for up to 2 weeks after aromatherapy massage were noted among cancer patients. A large hospital study suggests that ginger aromatherapy may help reduce nausea. In addition, a study in cancer patients found nearly half of nauseous patients experienced relief with fragrance delivered through aroma inhalers. However, aromatherapy did not appear to help nausea caused by chemotherapy in hospitalized children or breast cancer patients, even though it did improve appetite and overall health scores. In a study that looked at the records of acute care cancer patients, aromatherapy improved sleep in patients. Smaller studies suggest aroma massage may help hospice patients with sleep problems. Because aromatherapy may help improve sleep, it may also reduce symptoms of fatigue, but studies specifically addressing fatigue have been mixed. A large hospital study suggests aromatherapy using sweet marjoram may improve pain. Overall, aromatherapy is thought to be a safe and low-cost non-drug approach to help address symptoms such as poor sleep, pain, nausea, and anxiety. However, some essential oils may have adverse effects. Skins rashes, sores, blisters, or abnormal skin reaction to sunlight or ultraviolet rays: With exposure to lavender, bergamot, and other types of essential oils. Massage therapists who use aromatherapy often in massage sessions may develop skin rashes or sensitivity to essential oils. Other reactions upon skin contact: Ylang-ylang, lemongrass, jasmine, sandalwood, and clove oils are known to cause skin sensitivity in some individuals. Mouth sores: Have occurred with the use of peppermint oil. Breast enlargement: Repeated application to the skin with products containing lavender and tea tree oils caused abnormal breast growth in pre-teen boys. Practitioners of aromatherapy in a hospital setting are usually highly trained professionals, such as nurses or massage therapists who have experience working with patients who may have special needs. They can provide aromatherapy safely to avoid side effects in patients with complicated medical histories. Many major cancer centers offer some form of aromatherapy on either an outpatient or inpatient basis. Other hospitals are also beginning to incorporate aromatherapy in acute care settings, but this area is still relatively new and may not be used as standard supportive care. Aromatherapy involves the use of aromatic plant oils (essential oils) to stimulate the olfactory sense to improve psychological states and well-being. Traditionally, this practice has been based on holistic principles. It has also become a popular component of complementary therapies and is practiced by specially trained nurses or allied health professionals. Established aromatherapy programs have been implemented at some hospitals for acute-care interventions in both outpatient and inpatient settings. In a retrospective effectiveness study of nurse-delivered aromatherapy, the use of essential oils resulted in clinical improvements for patient-reported pain, anxiety, and nausea, and other symptoms (1). The majority of treatments were administered via nasal inhalation, with lavender or ginger being used most frequently. Sweet marjoram was found to have the greatest effect for pain, while lavender and sweet marjoram had anxiolytic benefits, and ginger produced the best relief of nausea. However, ginger aromatherapy did not significantly decrease nausea in pediatric cancer patients (26) or chemotherapy-induced nausea and vomiting in breast cancer patients, although it significantly improved measures of global health status, role functioning, and appetite loss (3). Cancer patients using aromastick inhaler devices have also reported reduced anxiety, stress, nausea, and improved sleep (2). In an inpatient acute leukemia unit, a preliminary study of aromatherapy found reduced tiredness, drowsiness, depression, and anxiety, as well as improved appetite and well-being (27). In thyroid cancer patients who underwent radioactive iodine therapy, lemon and ginger essential oil inhalation appeared to increase saliva secretion (4). However, a large double-blind trial of inhalation aromatherapy during radiation treatments did not show benefits on anxiety (5). Aromatherapy is often incorporated as a component of therapeutic massage. In a large multicenter trial, short-term reductions in anxiety and depression were observed among cancer patients who received aromatherapy massage (6). Compared with cognitive behavior therapy (CBT), it was shown to have equivalent benefits and was preferred by more cancer patients for emotional distress (7). In addition, hospice patients receiving aromatherapy massage experienced reductions in pain and depression (8) and improved sleep (9). At the same time, systematic reviews of aromatherapy massage on symptoms associated with cancer deemed most existing studies too small for reliable findings (10) (11). Clinical use of aromatherapy has the potential to enhance patient care as a safe, low-cost nonpharmacologic approach to address symptoms such as poor sleep, pain, nausea, and psychological distress, with high levels of patient preference and compliance (1) (2) (9) (12). In addition, the incorporation of aromatherapy with massage may yield short-term clinical benefits for sleep and distress in acute care populations, although it is unclear how much these effects can be specifically attributed to aromatherapy (6) (7) (9). Larger, more rigorous studies are needed for definitive conclusions (10) (11). Aromatherapy works through the sense of smell. Essential oils are usually not ingested and systemic effects are minimal. Because essential oils are so concentrated, they are usually blended with a carrier oil such as grapeseed, coconut, or jojoba oil for dilution (13), especially when used in aromatherapy massage (10). Proposed mechanisms include access by olfactory signaling pathways to the central nervous system via neurotransmitters such as serotonin and dopamine (14). Essential oil inhalation stimulates olfactory receptor cells, thereby transmitting impulses to the limbic system, which is central to autonomic function and emotions (4). In cancer patients who received radioactive iodine therapy, increased saliva production in those who inhaled lemon and ginger essential oil was attributed to activation of both parasympathetic and sympathetic nervous systems (4). Anxiolytic and sedative effects with aromatherapy have been shown in animal models (15) (16). Benefits on improved performance under acute stress conditions have been attributed to aroma-specific pharmacologic and hedonic properties, as well as participant expectations (17). Some essential oils have been used externally for skin infection due to their antimicrobial activities. Allergic/hypersensitivity reactions, contact dermatitis with lavender, bergamot, and other essential oils (18) (19) (20). Some essential oils are particularly known as contact sensitizers, including ylang-ylang, lemongrass, jasmine, sandalwood, and clove oils (21). Perioral and intraoral disorders have occurred with peppermint oil (22). Allergic contact dermatitis, photodermatitis, and occupational dermatitis: With lavender essential oils (18). Bullous phototoxic reactions: With exposure to aerosolized bergamot and subsequent UV exposures, for which psoralen-containing compounds may be responsible (20) (23). Exfoliative dermatitis: With an ayurvedic aromatherapy oil (24). Prepubertal gynecomastia: With repeated topical application of lavender and tea tree oils (25). Many major cancer centers offer integrative medicine therapies that include some forms of aromatherapy treatment, either alone or as a component of aromatherapy massage. While there is no mandatory national certification or licensing requirement for aromatherapy, practitioners are usually nurses, massage therapists, or other allied health professionals experienced in working with cancer patients who may have special needs. Johnson JR, Rivard RL, Griffin KH, et al. The effectiveness of nurse-delivered aromatherapy in an acute care setting. Complement Ther Med. Apr 2016;25:164-169. Stringer J, Donald G. Aromasticks in cancer care: an innovation not to be sniffed at. Complement Ther Clin Pract. May 2011;17(2):116-121. Lua PL, Salihah N, Mazlan N. Effects of inhaled ginger aromatherapy on chemotherapy-induced nausea and vomiting and health-related quality of life in women with breast cancer. Complement Ther Med. Jun 2015;23(3):396-404. Nakayama M, Okizaki A, Takahashi K. A Randomized Controlled Trial for the Effectiveness of Aromatherapy in Decreasing Salivary Gland Damage following Radioactive Iodine Therapy for Differentiated Thyroid Cancer. Biomed Res Int. 2016;2016:9509810. Graham PH, Browne L, Cox H, et al. Inhalation aromatherapy during radiotherapy: results of a placebo-controlled double-blind randomized trial. J Clin Oncol. Jun 15 2003;21(12):2372-2376. Wilkinson SM, Love SB, Westcombe AM, et al. Effectiveness of aromatherapy massage in the management of anxiety and depression in patients with cancer: a multicenter randomized controlled trial. J Clin Oncol. Feb 10 2007;25(5):532-539. Serfaty M, Wilkinson S, Freeman C, et al. The ToT study: helping with Touch or Talk (ToT): a pilot randomised controlled trial to examine the clinical effectiveness of aromatherapy massage versus cognitive behaviour therapy for emotional distress in patients in cancer/palliative care. Psychooncology. May 2012;21(5):563-569. Chang SY. [Effects of aroma hand massage on pain, state anxiety and depression in hospice patients with terminal cancer]. Taehan Kanho Hakhoe Chi. Aug 2008;38(4):493-502. Shin ES, Seo KH, Lee SH, et al. Massage with or without aromatherapy for symptom relief in people with cancer. Cochrane Database Syst Rev. Jun 03 2016(6):Cd009873. Chen TH, Tung TH, Chen PS, et al. The Clinical Effects of Aromatherapy Massage on Reducing Pain for the Cancer Patients: Meta-Analysis of Randomized Controlled Trials. Evid Based Complement Alternat Med. 2016;2016:9147974. Dyer J, Cleary L, McNeill S, et al. The use of aromasticks to help with sleep problems: A patient experience survey. Complement Ther Clin Pract. Feb 2016;22:51-58. Esposito ER, Bystrek MV, Klein JS. An elective course in aromatherapy science. Am J Pharm Educ. May 15 2014;78(4):79. Lv XN, Liu ZJ, Zhang HJ, et al. Aromatherapy and the central nerve system (CNS): therapeutic mechanism and its associated genes. Curr Drug Targets. Jul 2013;14(8):872-879. Tsang HW, Ho TY. A systematic review on the anxiolytic effects of aromatherapy on rodents under experimentally induced anxiety models. Rev Neurosci. 2010;21(2):141-152. Shaw D, Annett JM, Doherty B, et al. 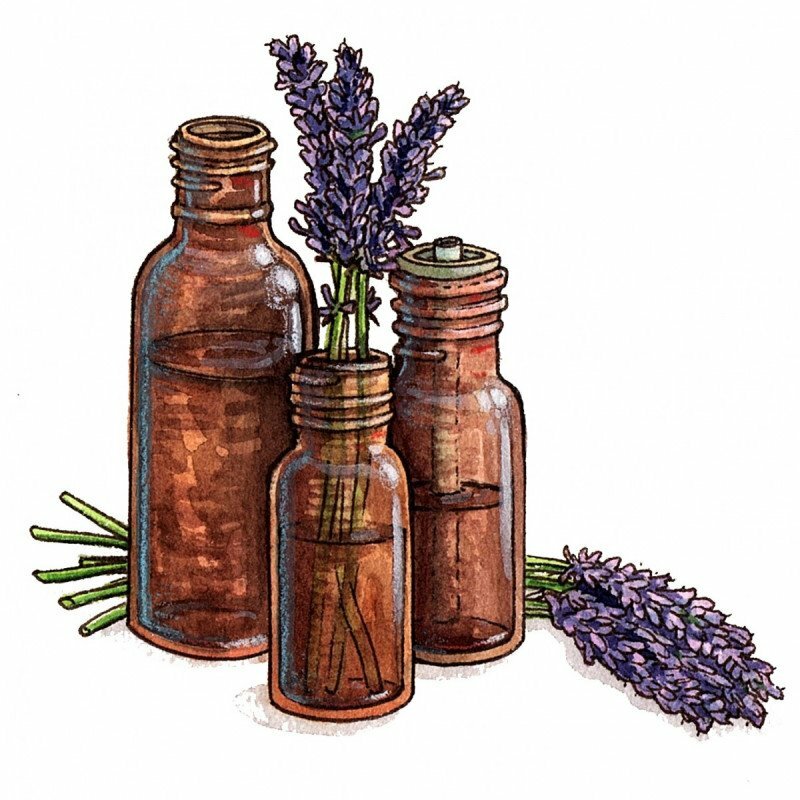 Anxiolytic effects of lavender oil inhalation on open-field behaviour in rats. Phytomedicine. Sep 2007;14(9):613-620. Wu PA, James WD. Lavender. Dermatitis. Nov-Dec 2011;22(6):344-347. Trattner A, David M, Lazarov A. Occupational contact dermatitis due to essential oils. Contact Dermatitis. May 2008;58(5):282-284. Ventura MT, Viola M, Calogiuri G, et al. Hypersensitivity reactions to complementary and alternative medicine products. Curr Pharm Des. 2006;12(26):3393-3399. Uter W, Schmidt E, Geier J, et al. Contact allergy to essential oils: current patch test results (2000-2008) from the Information Network of Departments of Dermatology (IVDK). Contact Dermatitis. Nov 2010;63(5):277-283. Herro E, Jacob SE. Mentha piperita (peppermint). Dermatitis. Nov-Dec 2010;21(6):327-329. Kaddu S, Kerl H, Wolf P. Accidental bullous phototoxic reactions to bergamot aromatherapy oil. J Am Acad Dermatol. Sep 2001;45(3):458-461. Lakshmi C, Srinivas CR. Allergic contact dermatitis following aromatherapy with valiya narayana thailam—an ayurvedic oil presenting as exfoliative dermatitis. Contact Dermatitis. Nov 2009;61(5):297-298.
Henley DV, Lipson N, Korach KS, et al. Prepubertal gynecomastia linked to lavender and tea tree oils. N Engl J Med. Feb 01 2007;356(5):479-485. Evans A, Malvar J, Garretson C, et al. The Use of Aromatherapy to Reduce Chemotherapy-Induced Nausea in Children With Cancer: A Randomized, Double-Blind, Placebo-Controlled Trial. J Pediatr Oncol Nurs. Jun 1 2018:1043454218782133. Blackburn L, Achor S, Allen B, et al. The Effect of Aromatherapy on Insomnia and Other Common Symptoms Among Patients With Acute Leukemia. Oncol Nurs Forum. Jul 1 2017;44(4):E185-e193.